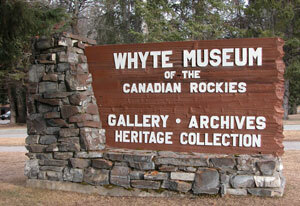 To give you a historical aspect of this place, I would strongly recommend that you visit the Whyte Museum. 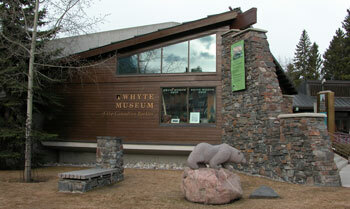 This museum is often overlooked and it has so much to offer. The exhibits and archives try to historically capture the people who came to the Canadian Rockies to discover their new home. Use your imagination and let the museum's many photographs, paintings and artifacts take you back to a time and place when life was slow and wilderness was larger than life. Find out what it was like in Banff's early years with the railway, the outfitters, the hot springs and of course people's quest to discover these mountains. Closed Sundays, statutory holidays and some holiday weekends. Please contact for more details. Out-of-town researchers are encouraged to phone ahead. Call 403-762-2291 extension 335 for more information. Adults	$6.00 Seniors (65 and over)	$3.50 Student (6 and up, full time)	$3.50 Family (4 members) $15.00 Children 5 and under are free. Museum Members are complimentary. No charge for Archives & Library use. Group rates available.